Favorite Books Of 2010: Guy Raz On The Terror Of 'Freedom' Weekend All Things Considered host Guy Raz reads two books a week for the show. 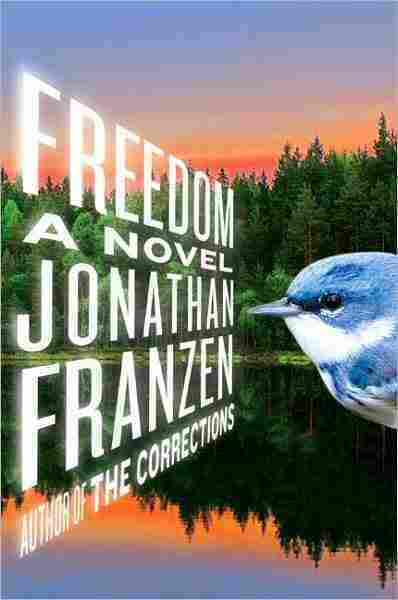 Of the 104 books he read last year, Jonathan Franzen's Freedom "stands alone." Favorite Book 2010 asks NPR personalities to write about one book from the past year that they loved. Guy Raz is the host of Weekend All Things Considered. I read a lot of books. To be exact, I read 104 books a year, since we feature a different book on Weekend All Things Considered every Saturday and every Sunday. Among the 104 books I read this year, Freedom stands alone. It tells the story of the Berglund family from St. Paul, Minnesota, and the relationship between father Walter and his wife Patty as their seemingly ideal existence becomes darker and more complex when an old friend, Richard Katz, re-enters their lives. The core of the book is about relationships -- about family dynamics. It is such an honest portrayal of a good, strong and flawed family. In other words, a normal family. It is about disappointment and expectations unfulfilled but, ultimately, about love and its redemptive power. But don't expect to come away from the book feeling uplifted; you won't. There's a good chance you'll come away with mixed feelings about Walter Berglund, about his wife Patty, about Richard Katz and most of all, about Jonathan Franzen himself. He writes complex characters who are not always easy to like. But the most terrifying thing about the book is that, in many ways, he is writing about us. About you and me and both the flaws and goodness within all of us. Every page of this book is a new adventure. And at times, one marvels at the simplicity and seeming effortlessness of the prose. Perhaps it's what makes Freedom so remarkable. Franzen spent nearly a decade thinking about the book and thinking about how to craft it in a way that makes it seem like it wrote itself. When I spoke to him about it, he told me "I wanted to produce something that really connected with how it feels to be alive now." That is precisely what he did.